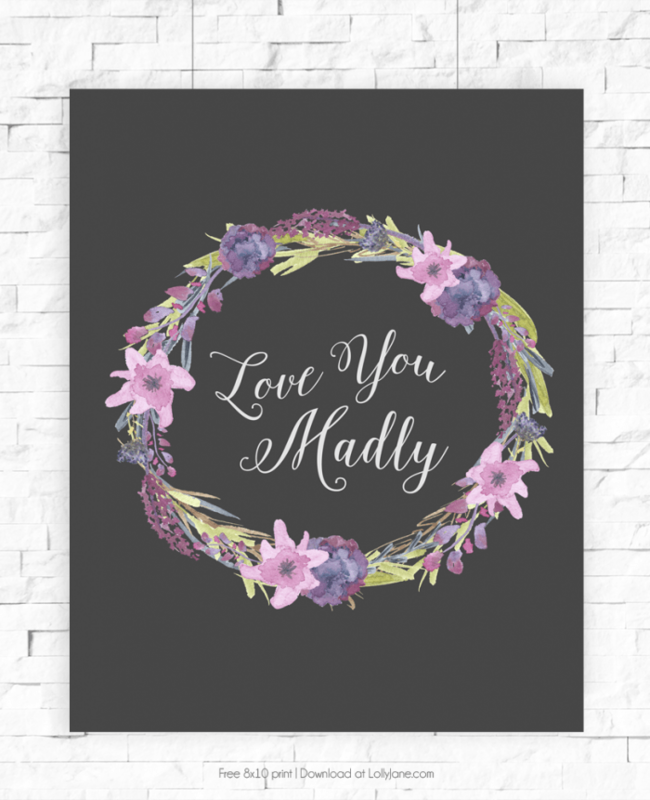 We’re back from Lolly Jane to share a pretty print that is perfect to display this time of year, but also pretty enough as a permanent home decor. Simply print this 8×10 and slip into a frame or clip and hang. Of course you can size it down smaller in Word or Pages, or write on the back of it to use as a gift tag come the 14th. 😉 Both prints are available for free download here. 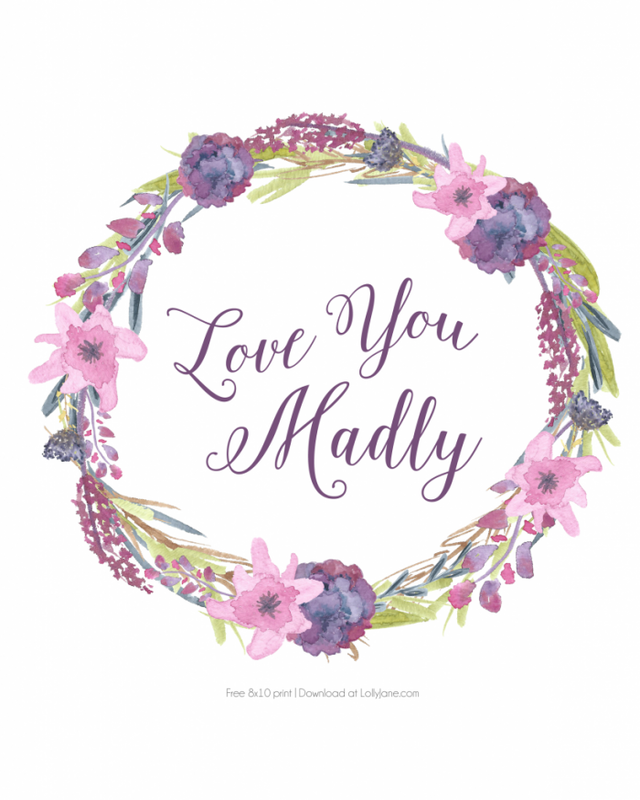 We have a large selection of free printables on our site, Lolly Jane, so stop by! We’re also pretty social so click on over to chat via FB, Instagram, Pinterest or Twitter.